What do you do when you're at a special event? You take pictures and share them on social media, of course. 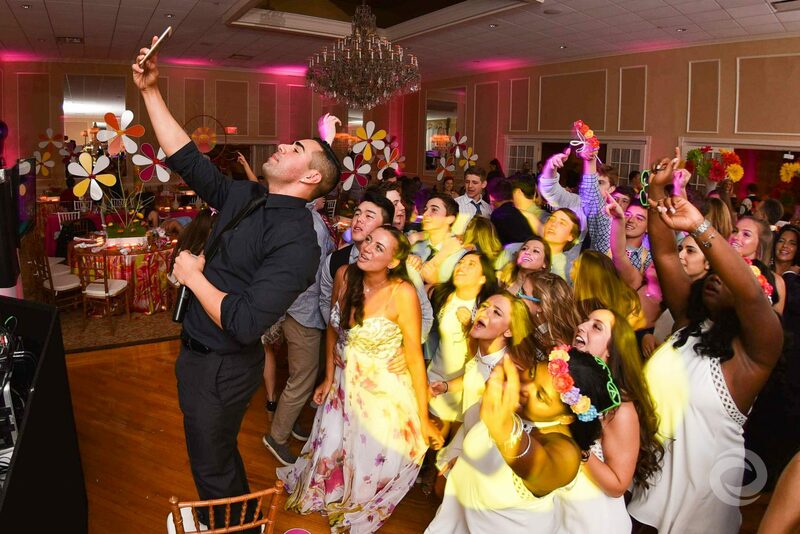 For teens and young adults attending Sweet 16 and Quinceañera celebrations, this often means posting pictures and videos on Snapchat throughout the evening. Now, imagine how much more personal and special those Snaps would be with a "branded" geofilter designed just for the party. As part of our Sweet 16 Social Package and higher, Hurricane Productions creates a customized Snapchat geofilter for guests to use during the event. These filters, which are typically tailored to fit the theme and color scheme, create a fun and unique way for friends and family to share their experiences of your celebration. 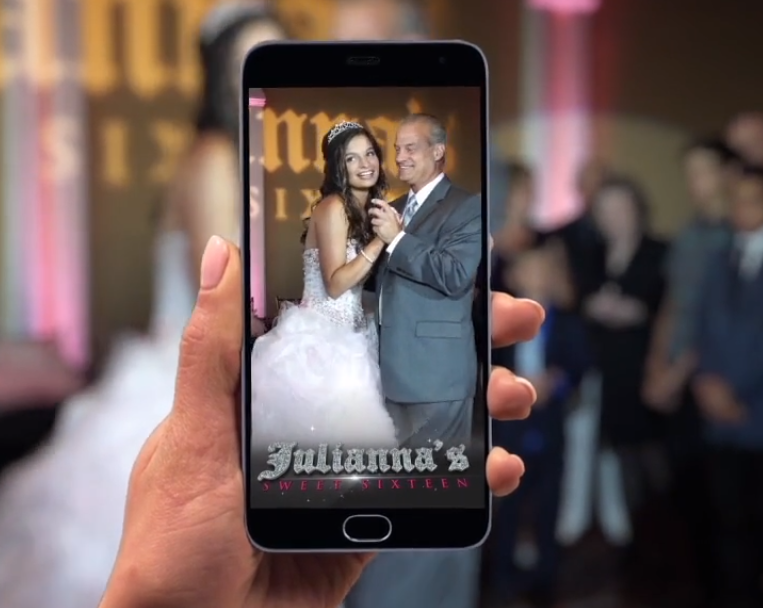 Here are a few of our favorite designs from past Sweet 16s and Quinceañeras to inspire a custom Snapchat geofilter for your event. This geofilter put the "jewel" in Julianna, with her name stylized to match the stones on her tiara and gown. 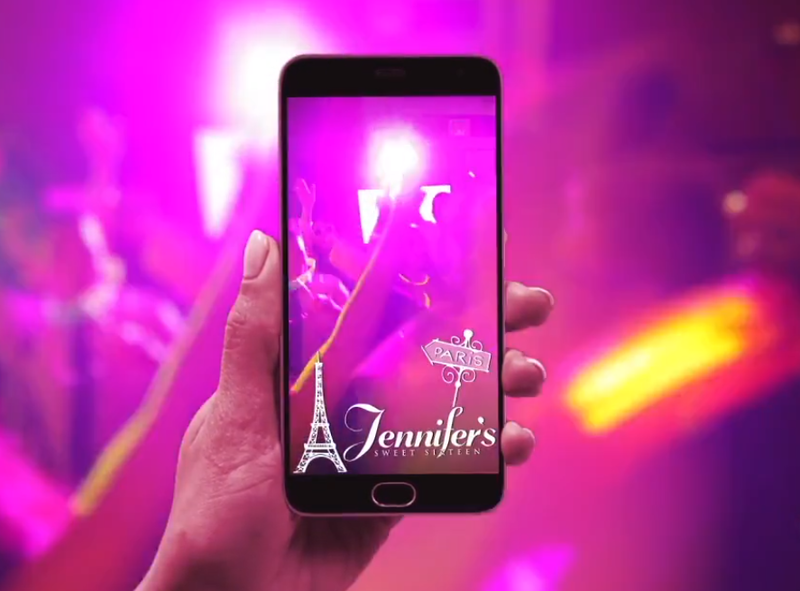 For Jennifer's Paris-themed Sweet 16, the Eiffel Tower and a romantic Paris street sign made the perfect filter for her guests' Snaps. 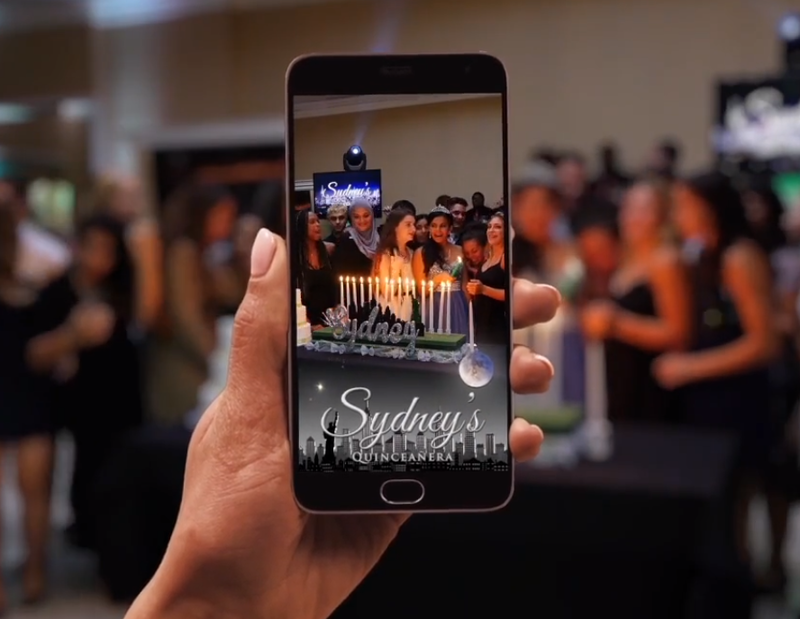 Sydney's Quinceañera featured a geofilter decked out with the Manhattan skyline, complete with a glowing full moon and the Statue of Liberty. 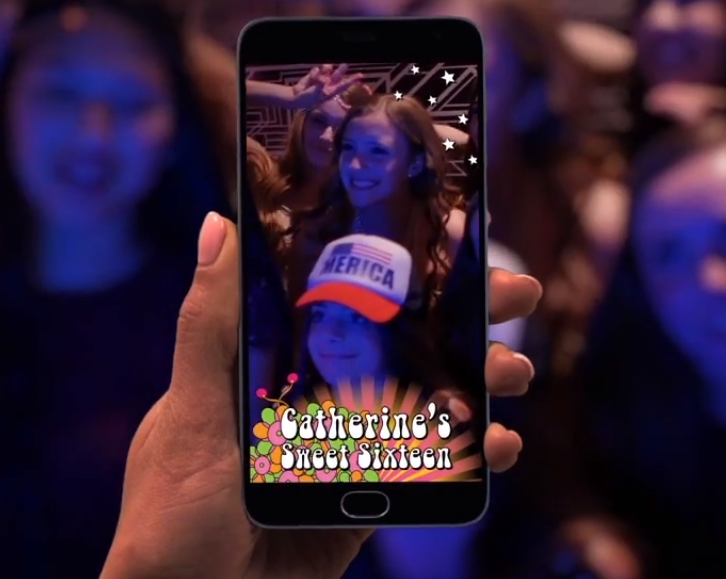 Guests looked pretty groovy when they used the geofilter for Catherine's sixties-themed Sweet 16. 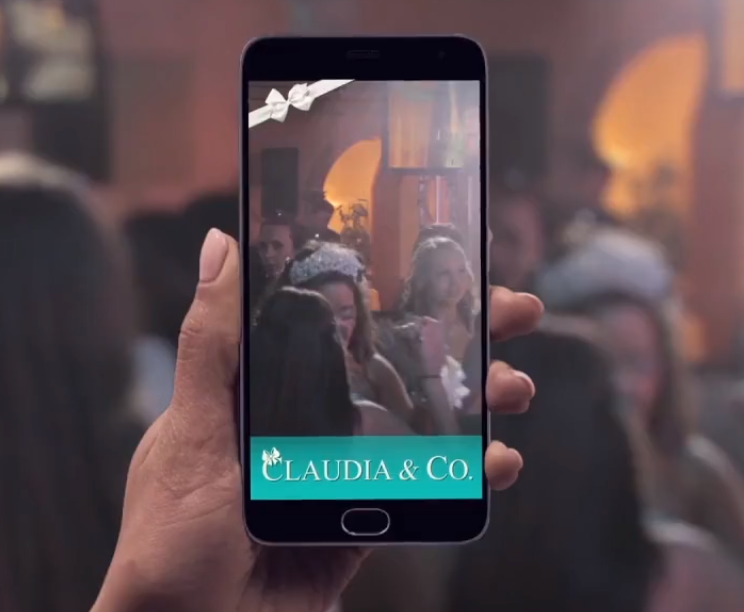 Inspired by luxury jewelry brand Tiffany & Co., Claudia's celebration featured a Snapchat geofilter designed to mimic the company's iconic "Tiffany Blue" box with white ribbon. 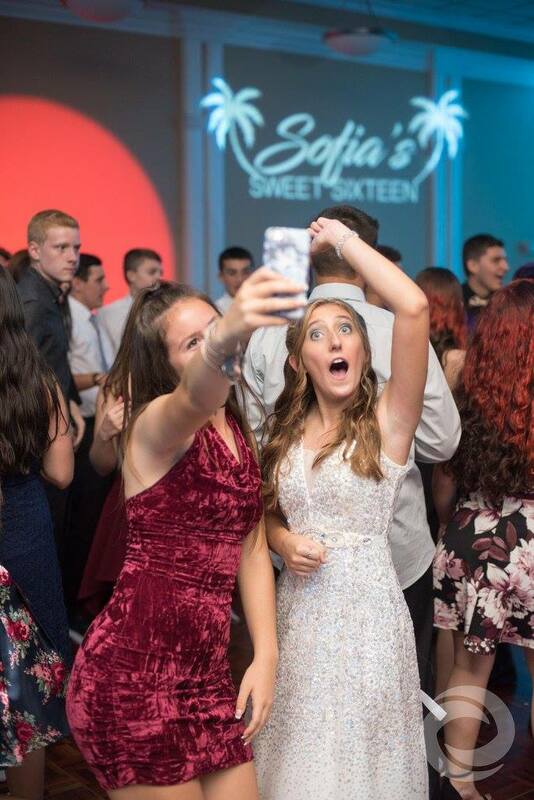 In addition to your custom Sweet 16 or Quinceañera geofilter, our Social Package also includes multi-screen displays around your dance floor, streaming live Instagram photos using your hashtag and personalized graphics created by our design team. Visit our pricing page or contact us to learn more about our all-inclusive media and entertainment services for your special birthday celebration.